We all know that this time of the year is a great time to #BeGenerous! Just ask the Eat Clean Diet Team & myself! or doing something kind for someone else! Lately I’ve been feeling very blessed & I love to spread that feeling. Prize Pack for a GIVEAWAY!! 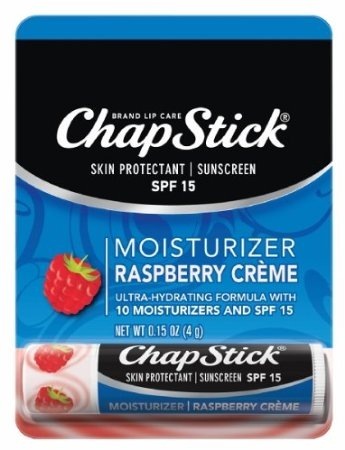 I swear, I am the QUEEN of ChapStick®! 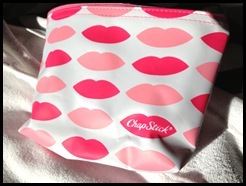 When I was little, I used to call it “Lip Chip” – points for being close, right? 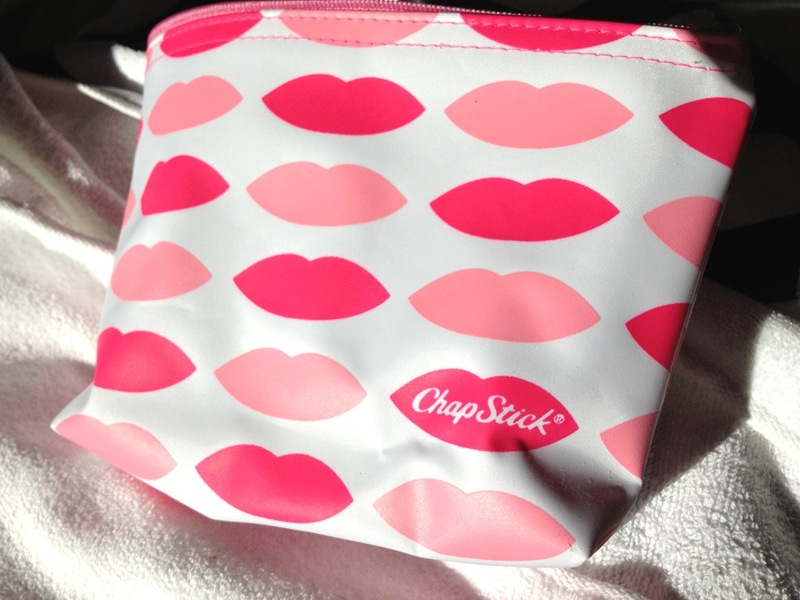 ChapStick® is always in my purse, gym bag, clutch, or car! Who said cup holders had to just be for cups or coffee…mostly coffee. ONE LUCKY WINNER will receive a Fitness Prize Package! 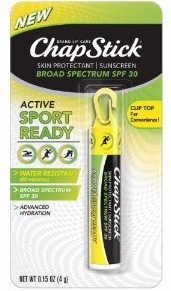 hooked onto your wristlet or gym bag! Leave a comment below telling me how you are BEING GENEROUS! Or, if someone has been GENEROUS to you! *Open to US & NON-US Citizens! 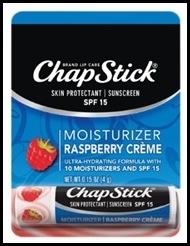 You can also check out ChapStick® on their sites! 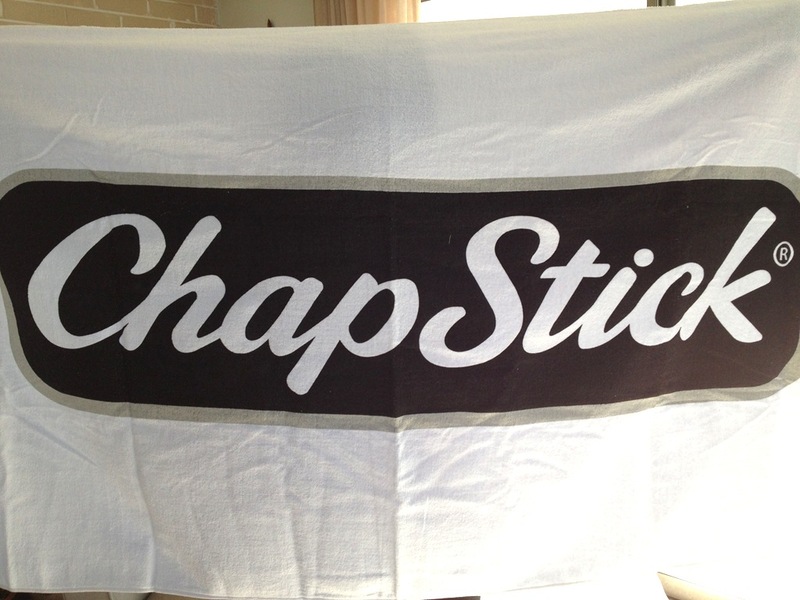 GOOD LUCK & THANK YOU ChapStick® !! gift have been provided by Pfizer Consumer Healthcare. Some Of My Favorite Back Exercises! Meet Triathlete Dorothy Stromdahl - Fuel Your Better College Campaign! My husband and I sponsor a little girl named Munni from Bangladesh and put together a SUH-WEET Christmas package for her and her little family! It is such fun! I also made homemade hot chocolate and am passing it out to my neighbors this weekend. I haven’t tried the hot chocolate yet, though-it could be a colossal failure! My husband and I got to buy gifts for a little 3 year old boy whose father is in prison. We were so happy to help with that need this Christmas! My huband and I do an annual Thanksgiving Football Food Drive. The morning of Thanksgiving we have a football game at the park down the street from our house. People from our neighborhood, their friends/family come to play and bring food for our local pantry. The food that is provided helps the families in our area during the holiday season. This year we filled my mini SUV and half of my husbands parents SUV. The Food Pantry was so grateful this year, because they are in a big need. I actually think we need to be generous all year round. I have a goal for myself to do at least one good deed a day regardless of how big or small it is. I’ll wait that extra minute and hold the door open for someone, if someone in front of me in line needs change I’ll give it, I’ll tell a silly joke to a rude cashier because hey maybe they’re just having a bad day (don’t we all?). But this holiday season i do feel extra giving, even though I have hard times of my own I always remember someone else has it worse. Random acts of kindness all year round! My firend just sent me a “post tea” card with chocolate mint tea from PEI. It’s a package of loose leaf tea in the form of a postcard. She sent it just because she was thinking of me and knew I would enjoy it. If I won then I would send her the prize pack for being so thoughtful. Not sure if it’s the same program as Andrea M. but I participated in Angel Tree this year, which gives gifts to the children of imprisoned parents. Agreeing with Debbie though, we should carry a spirit of generosity with us all year round. Remembering the blessings that we’ve been given and in turn giving to others. I’m being generous this holiday season by donating to the ASPCA and bringing homemade healthy cookies to family and friends. We are doing our usual Yuletime food bank donations, SPCA donations, and doing little extras for the people who provide us with great service all the time, too. But the extra smiles and the little courtesies in traffic and while out and about are the things I like to do best, and make my day too when on the receiving end. Life is just so much better when people are NICE and generous with their time and smiles and thank yous, don’t ya think? 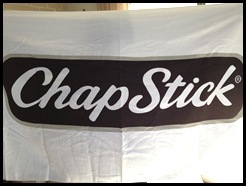 Thanks for the chance to win some fun CHAPSTICK and swag! I’m being generous by volunteering at my church around Christmas time! Actually, just yesterday I registered to be a bone marrow donor! Every day I think about how thankful I am for my health and think about those less fortunate. I know the chances that are slim that you are ever a match for someone, but I would love the opportunity to help someone if I could. Generosity can be given in so many ways from tangible things to actions and thoughts. Just a few hours ago something so simple as a fellow driver pausing to let me enter the busy jam packed road was an act of generosity and made me smile and feel good. Recently I was telling a colleague of mine about my new weight loss and fitness lifestyle and also venting a little about the need to replace my entire wardrobe, cha ching! About a week later she sent me an e-mail and said “Come and see me today. You won’t regret it!” I dropped by her office and she had about twenty five to thirty pieces of nice clothing, three pairs of shoes and a jacket to gift to me! She told me that she took each piece of clothing, rolled it really tight and jammed it into a huge backpack and, get this BIKED to work with it on her little back. LOL How GENEROUS is that!?! A week after that she called me in the morning and said “Can I drop by?” I said sure! She comes to my office and gifts me five pairs of super fashionable pumps. Two pairs were Aldo and another was Nine West and they were in brand new condition. I was overcome by her generousity. A week later three belts came to the office for me. My Mom works for the Navajo County Attorneys in Arizona and the share space with the Family Advocacy Center for Navajo County and she was telling me how many children come through the Family Advocacy office that are victims of abuse. The Family Advocacy has set up exam and interview rooms so the children do not have to endure the Police Department atmosphere or a scary hospital, the Officers and Medical staff come to them from what I understand. So in hopes of cheering up a scared and confused child I donated my Beanie Baby Collection. I had probably over 100 just packed in zip lock bags doing nothing so what better than giving them to a child who will live them. So I shipped out box after box of Beanie Babies (I live in KY) and when they arrived my Mom and the other Ladies in the office completely decorated Aaron’s office (he is the Director of the Family Advocacy). He was very excited to let each child they help in a crisis pick out a new Beanie Baby. They sent me a picture with Arron’s office “trashed” with Beanies. I was happy my silly old Collection will finally be put to good use. Not sure how to upload the picture here but it is a hoot to see. I’m usually a pretty generous person. I love doing what I can for charities and organizations (especially medically-related ones as I am a future doctor). I’m visiting my family later in December so I will be in Pittsburgh for Christmas so I decided to participate in Presents for Patients (I’m sure you’ve heard the radio ads). I get to bring a present to a nursing home resident and spend some time with them. I’m really excited about it, and I think it will be a great experience. My sis just took myself & hubby to Hawaii so I am trying to pay it forward by being nice to whoever I can.. money is an issue so I have to do it in other ways! When the cashier at The Vitamin Shoppe rang up my purchases today, I realized that I did’t have my wallet! I apologized and told the clerk I would have to return later, but the woman behind me in line handed her credit card to the clerk and said “I’ll take care of it.” She wouldn’t take no for an answer and ended up paying the $30 that I owed. She just asked that I pay it forward! This weekend, when my family delivers the gifts that we bought for a foster child and a woman rescued from the slave trade to our church, I’ll be thinking of her :). We are buying gifts for the giving tree at our church. I’m also working hard to be kind to everyone, especially those who I find frustrating. We are put here to serve others first. So I do random acts of kindness and try to have a good word for everyone . I also post motivational things on my FB page because I believe in positivity. And if just one person has a better day because of something I have said or done, then I have fulfilled my purpose. I read all the stories and you have some really great followers. I can relate to a few of them because of things we do through our church. Sponsoring a child who’s parent is in prison is fantastic. When we first started that, people didn’t like it because it helped a prisoner but there are programs these people are going through in prison to change their ways. They are making god a big part of their lives and having a relationship with their kids. Some of them will never be released. It a great program. The lady who collected 2 mini vans full of fool at a game, god bless her. Most of what my family does is with the church. They take care of people in or town, they build churches in other communities, they give money so families can be a part of the YMCA for fitness and for daycare, and this Sunday they are trying to raise $32,000 in one day and giving every dime to different programs like the YMCA and a few others. My family and I like to volunteer for as many of these events as our schedules allow. 3 kids keeps the family busy. This year, when we go out for my birthday today, I am going to wear several jackets. I have always wanted to just walk up to someone in the city (Chicago) and just give them a jacket and tell them “merry Christmas. Stay warm”. I want to wear several so I can give away as many as I can put on. I’ve always wanted to do that but don’t drive into the city much so this year I’m making a special trip. Hope everyone has a great holiday season! Picking up time at work so my coworkers can spend time with their families! My parents are SUPER busy with there demanding jobs during the holidays so I lend an extra helping hand by doing some of there daily chores for them so they can just come home and relax :0). I’m replacing my usual chocolate advent calendar with R.A.C.K. (Random Acts of Christmas Kindness). It’s a challenge to myself to go out of my way every single day to spread the joy of Christmas! So far this has meant volunteering for the SPCA, donating canned goods, leaving inspirational notes on car, paying for someone’s bus fare, and baking cookies for a friend (clean!). Being generous by cleaning for my father. I hate cleaning! Every year we take our kids to Phoenix children’s hospital to donate money. Because my kids are still young and we are not able to help out physically, we want them to see what the donation can do for another child. We also buy gifts for kids that are less fortunate and find one toy at home to give to someone else. I would love to win this giveaway… what a great idea. I am being generous today, and this week, by taking some gift wrapped toys to our local hospital for children who are unable to have Christmas this year. I am doing this to humble my son as well… so he knows the true meaning and understands that we are VERY lucky and ABLE to help in ANY way we can. I’m generous with my co-workers. I love to do special things for them to make their days special. I started a Random Acts of Christmas Kindness at work. I made it in the form of a BINGO card game and it’s been a blast. Hopefully it inspired them to think of others and be generous all the time. This is the first Christmas my husby and I have actually been able to really buy gifts for people. It isn’t the point of the season, but we’re so happy that we can actually be generous this season and give good gifts to our nephews and niece and also everyone else! Also, we just had a little kitty show up to our doorstep. I keep refusing to claim him, but my heart is definitely too generous to not do anything. Needless to say, he has a new home now. My husband, three girls, and myself are going to go through all of our things and donate clothes, shoes, toys, ect. to people in need in our town. We want to bless the local people with tons of gently used items.